The second dish which Minoo demonstrated from the book Deceptively Delicious was called Turkey Chili with red pepper and carrot. 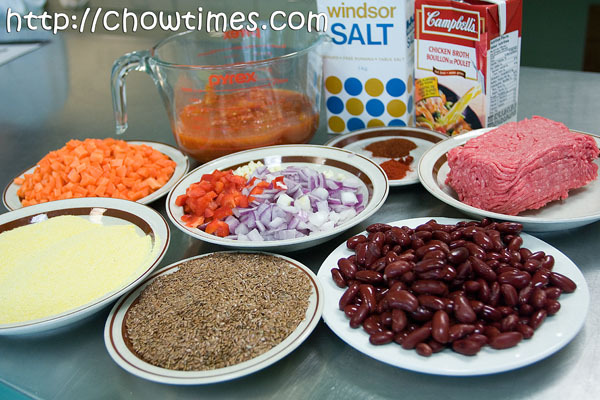 Minoo substituted the lean ground turkey with lean ground beef as she was not able to find ground turkey when she did the groceries shopping for the ingredients. Minoo also used the real pepper and carrot instead of puree as in the original recipe as there is no children in the community kitchen. 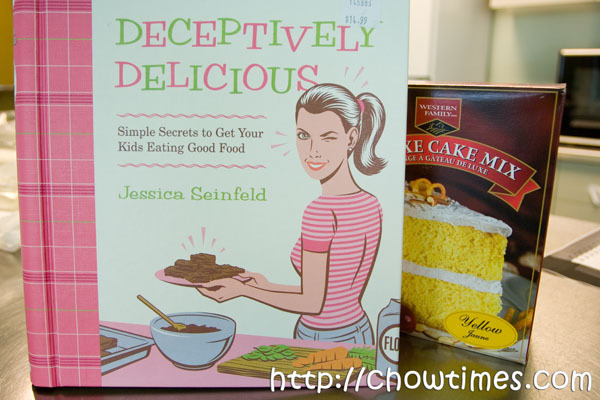 Minoo shared with us two recipes from the book Deceptively Delicious by Jessica Seinfeld, wife of the comedian Jerry Seinfeld. This book is available in Costco for about $15. 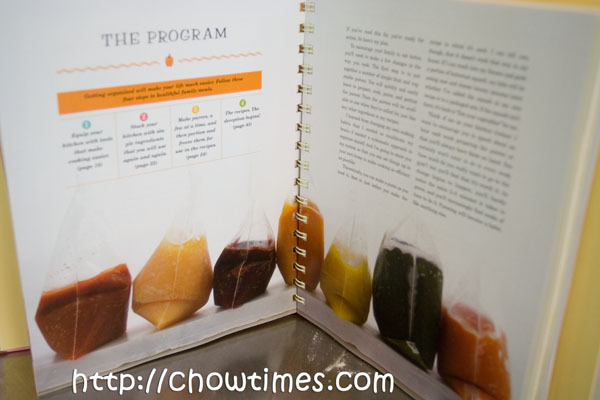 Minoo had been introducing this book to the community kitchens as it’s recipes incorporate vegetables and fruits in the puree form. In this way, kids will not know they are eating vegetables and fruits which has been masked. 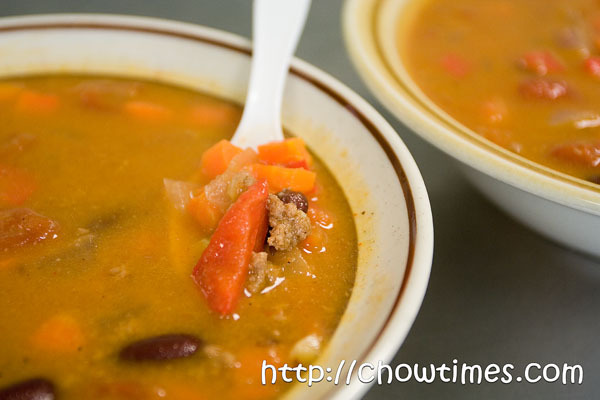 Having kids to eat nutritious meals is one of the biggest challenge during meal time. This book has a chapter which covers on how to puree and freeze vegetables and fruits in small portions for convenience usage later. This is good for small families which often have to toss away rotten vegetables and fruits simply because they cant finish eating them. 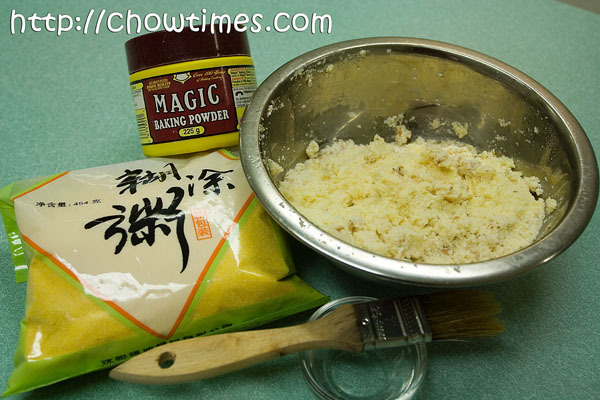 Puree food is also good for seniors, easy on digestion and gentle to their palate. The Yellow Cake with Pumpkin turned out moist and had a very ‘pumpkinish’ colour. We also added some flax seeds for extra nutrients. We had extra to bring home and Arkensen finished them all. Oh, did you guys know how long was the border wait last weekend? It was unbelievably long … 3-5 hours south bound. We had been going south for our shopping at least once a month since the Canadian Dollar reached par with the mighty USD. However, we had been somewhat lucky not to be caught up in lineups over 1 hr. A couple of months ago, we stopped by Arby’s in Bellingham. 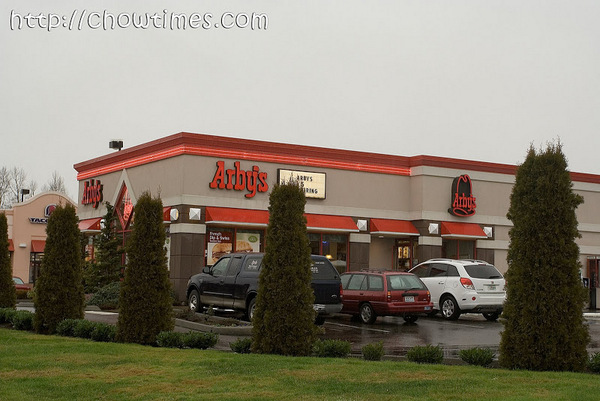 Arby’s is struggling in Canada with just a handful of outlets in BC. 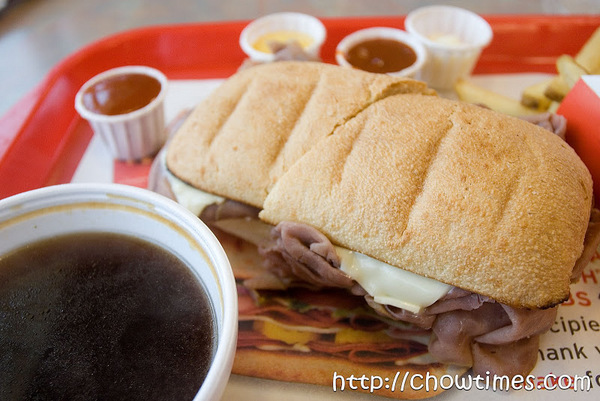 We like Arby’s and used to go often for their Roast Beef sandwiches when there was an outlet in Richmond. It’s closed a few years ago but we still remember having the sandwiches almost once a week. 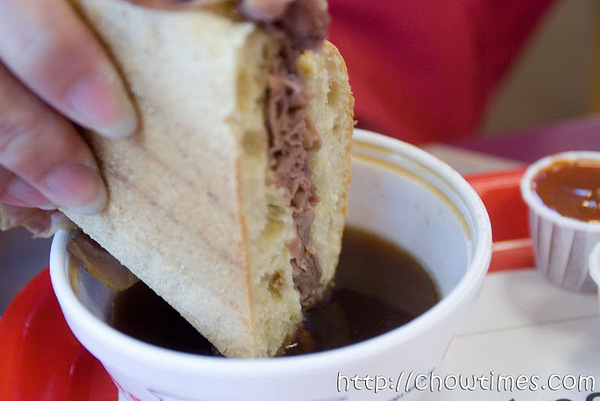 We got the French Dip and Swiss Toasted Sub Combo for $6.85. The combo included some fries and a soft drink. Updated 2nd Jan 2015; This restaurant is closed. Updated 21 May 2010: this restaurant has reopened on No. 1 Road and Moncton. 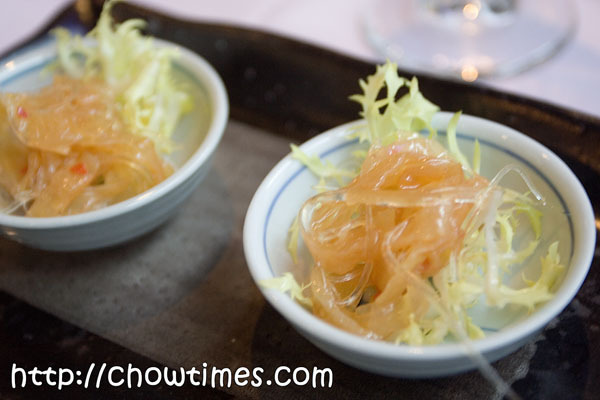 Today, I am blogging about the “Best Chinese Food Outside of China” … well, that was according to Jennifer 8 Lee. Jennifer is a reporter for New York Times who had just published a booked called “The Fortune Cookie Chronicles: Adventures in the World of Chinese Food”. 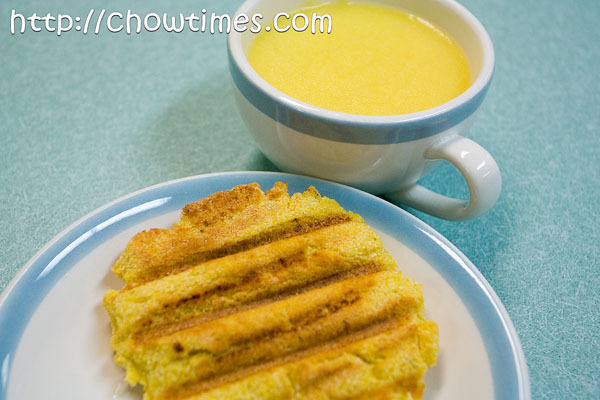 In writing the book, she visited restaurants in 42 states in the US and other 23 countries in search for Chinese food. 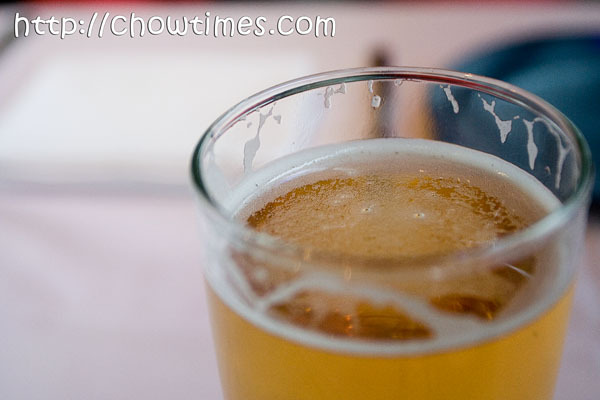 When she landed in Vancouver, she went to three restaurants … Kirin, Sun Sui Wah and Zen. Out of the many restaurants, she chose to describe Zen as the greatest. From the outside Zen does not really look like much of a restaurant. The location too is left too much to be desired as it is on the second floor of a smallish strip mall at the end of Alexandra Rd in Richmond. According to the news, Zen had been struggling to bring in customers for a few years and is in the verge of closing down. When the news broke of the great review from Jennifer 8, all hell broke lose, so to speak. From the days where there are only a few customers a week, the table seating were fully booked the week after the news broke. The only time available for us that week was 5:30 PM on a Friday. 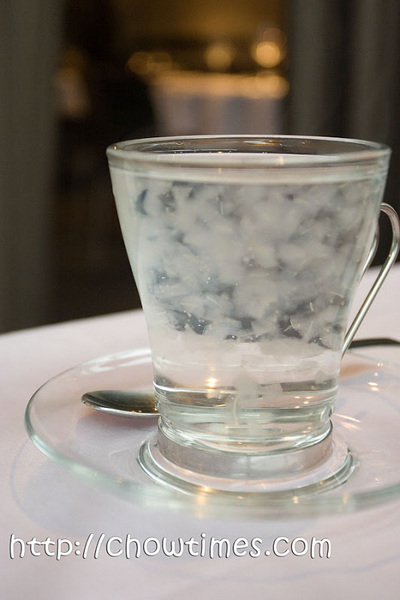 Unlike other Chinese restaurants, Zen only have fixed tasting menus. You do not go there and pick your food from a menu. Instead, when you book a table, you will be given a menu of four choices to pick from. They even insist that the entire table have the same items (i.e. you do not order Menu A for some and Menu B for the others). It looks like Zen only takes reservation only and does not entertain walkins. All this is because Zen takes hours to prepare most of the food. 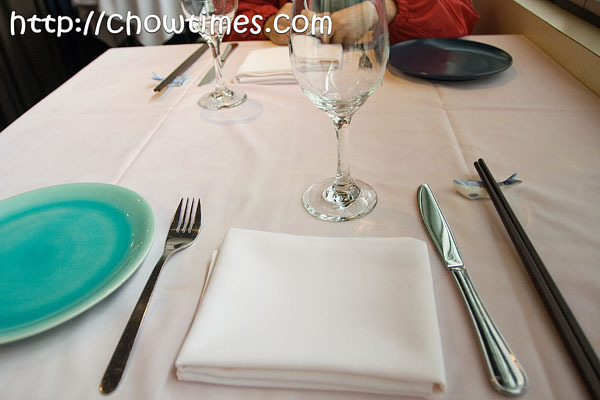 Suanne and I picked the cheapest tasting menu which costs about $36 per person. 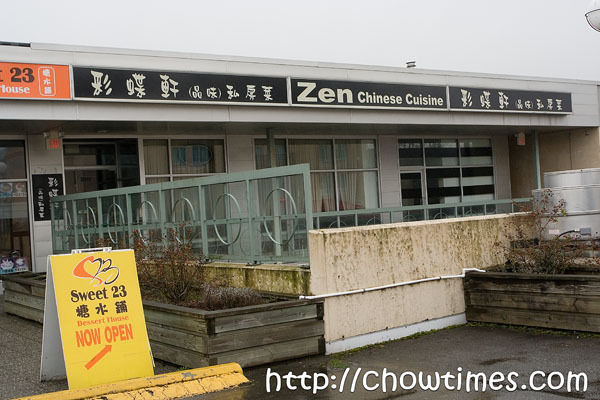 Zen is just that … a restaurant at the verge of closing down and is now struggling to keep up. Decor wise, it is quite spartan and simple. If I may even describe it, the cutlery were mismatched. We did not mind at all but it does jump at us when we got seated. After all we were there for the food and understand the circumstances that Zen went through. I would describe the service as “eager”. The waitresses were quite overwhelmed by the crowd and at times had difficulty communicating in English. A number of them were quite raw and inconfident, even to the extend of not really knowing what the food is called … but they made up for it by having two great person who were coming to each table to speak with the customers. We enjoyed that personal attention — this is certainly not like any Chinese restaurant, formal or informal, that we had ever been to before. The gentleman (I did not get his name) who came by our table told us that Sam (da man behind Zen) had been working in an overdrive mode the past few days. So, their number one priority was to keep Sam healthy so much so that they do not bother to fill on empty tables when there are cancellations. I ordered a beer, a simple Corona which is $5.50 per glass. The drinks menu really needed a fresher print. It was really old, worn and torn. I am sure that by now it would have already been replaced. Suanne ordered their Aloe Vera with Honey. This costs $3.50. She ordered this simply because she had never heard of such a drink before. It came served boiling hot and tastes a bit sourish. It was quite good and unique for sure. This is Arkensen and Nanzaro’s favourite bun. It is chocolatey and soft. Sometimes, I fill the buns with some semi-sweet chocolate chips to give it the extra omph. 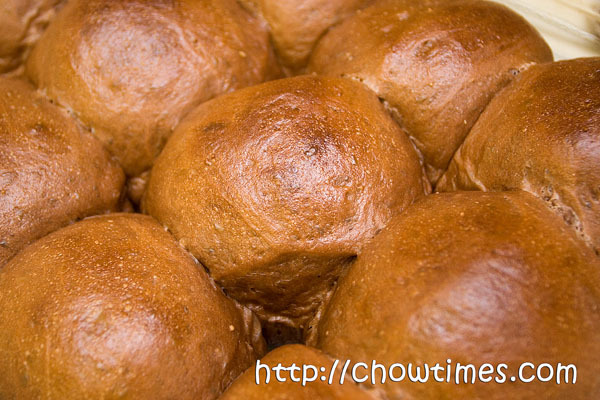 The Chocolate Buns are good for breakfast or after school snacks. They disappear very fast. The boys gobbles them all down in no time. 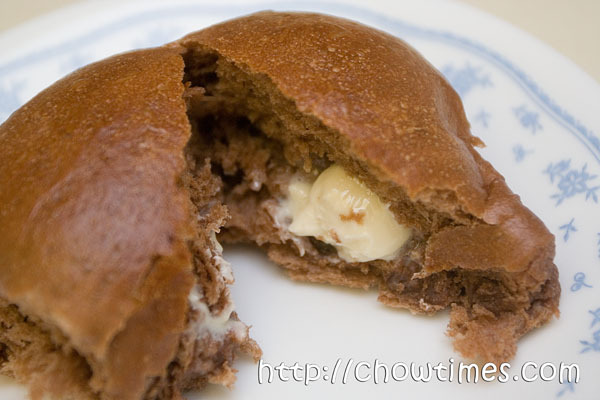 This time, I filled the Chocolate Bun with a few white chocolate wafers. I used the bread machine to prepare the dough. Set the bread machine to dough setting. 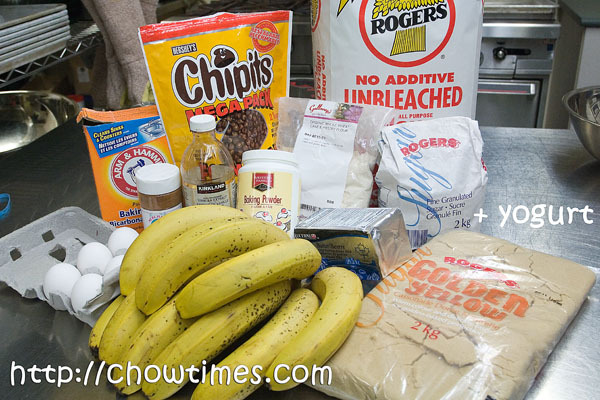 Place the ingredients into the machine in the order as per your machine’s requirement. Karen made us this Taco Pie for lunch. 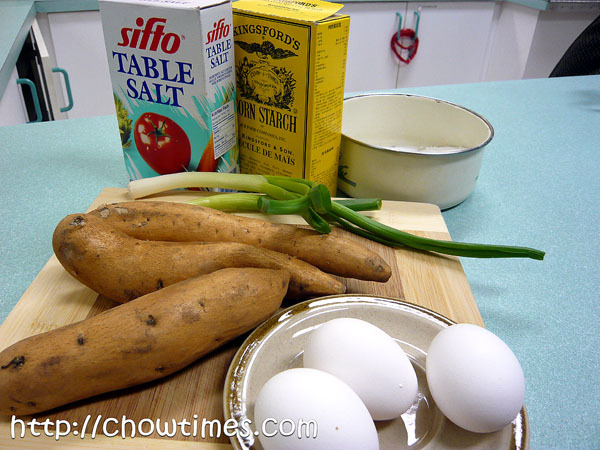 She will make this for the community meal too. 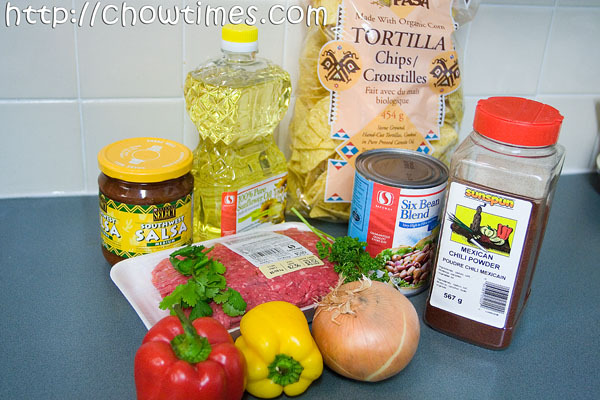 The Taco Pie is a very affordable dish. The most expensive ingredient in this recipe is the cheese. 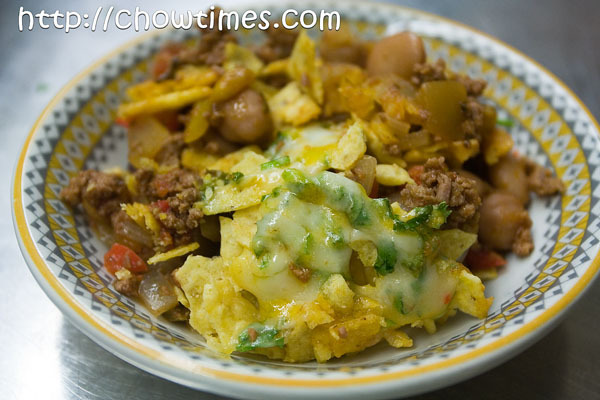 The Taco Pie is a fusion of Mexican and American dish. This one pot dish is good for potluck too. 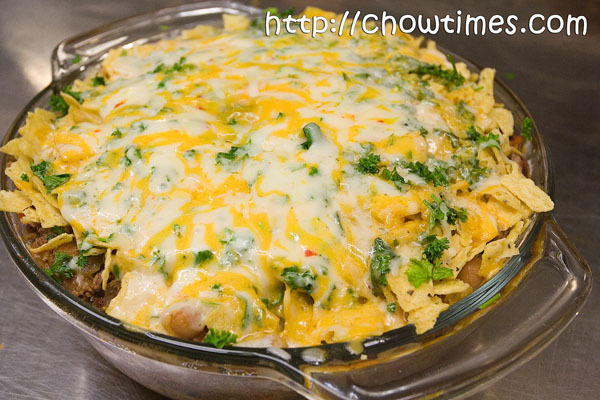 It’s a filing dish complete with beans, vegetables, chips and cheese. We made Ponderosa Cake at the Gilmore Park Church Community Kitchen for the community meal. 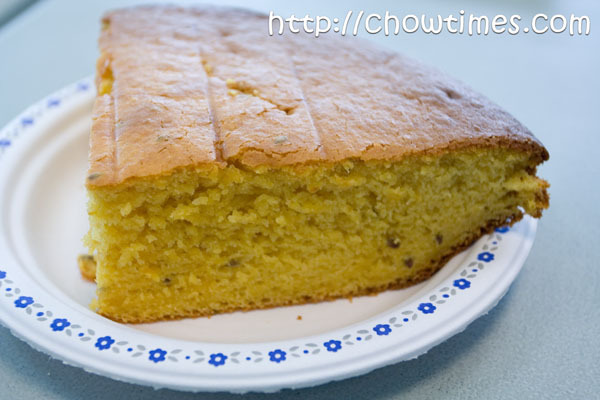 Ponderosa Cake is a popular cake in University of British Columbia. Karen was involved with the catering at UBC long time ago and she made a lot of these Ponderosa Cake. 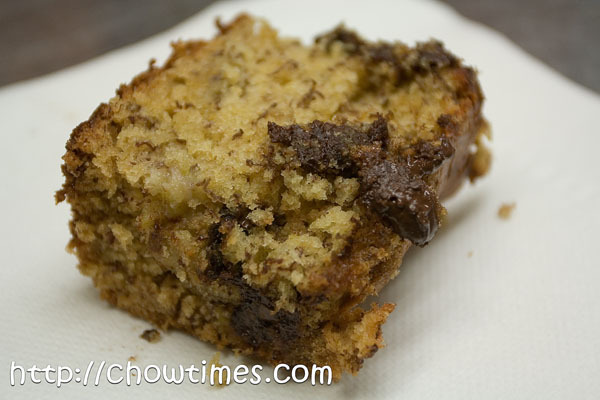 You can still find this cake in the UBC cafeterias until today. 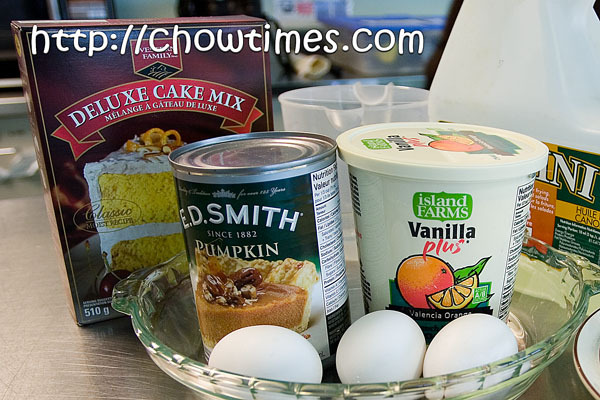 Karen had modified the Ponderosa Cake recipe to reduce the amount of fat and sugar for a healthier snack. 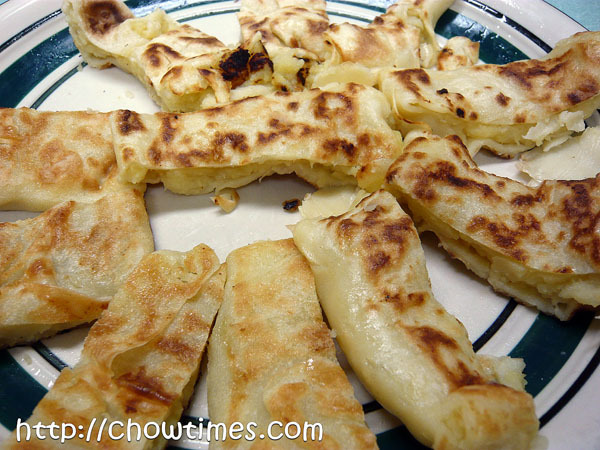 She was able to maintain the sweetness by roasting the banana first. 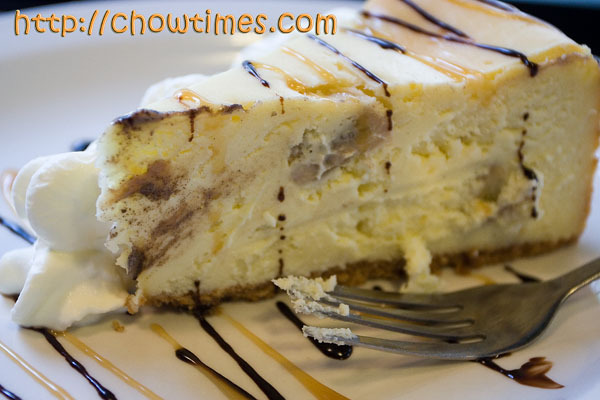 Polly and I revisited Trees Organic Coffee for their best cheesecake in Vancouver. It’s been more than a year since we visited Trees Organic Coffee, our first cake meet place. Trees Organic Coffee is along the site of the Canada Line construction. The view from Trees Organic Coffee at the moment is not very nice. Nevertheless, the business is still pretty good when we were there. 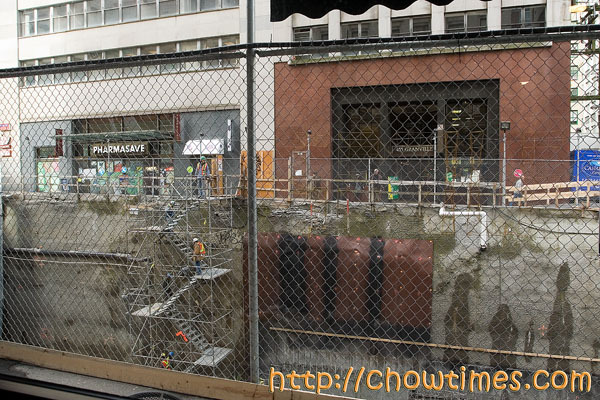 Trees Organic Coffee is located just at the site where the 440 tonne tunnel-boring machine broke through into the construction site for the line’s Waterfront station. 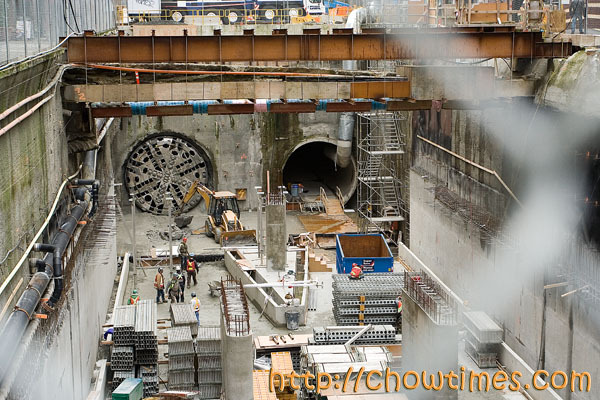 This finishes the second of side-by-side bored tunnels from just south of False Creek to just north of Pender Street on Granville. Polly and I ordered two slices of cheesecakes and a piece of cinnamon bun to share.